Sales and marketing alignment is crucial for ABM, and thought leaders have begun to emphasize the term “account-based everything” vs. “account-based marketing” to better characterize a strategy that involves the entire organization working together on key accounts. 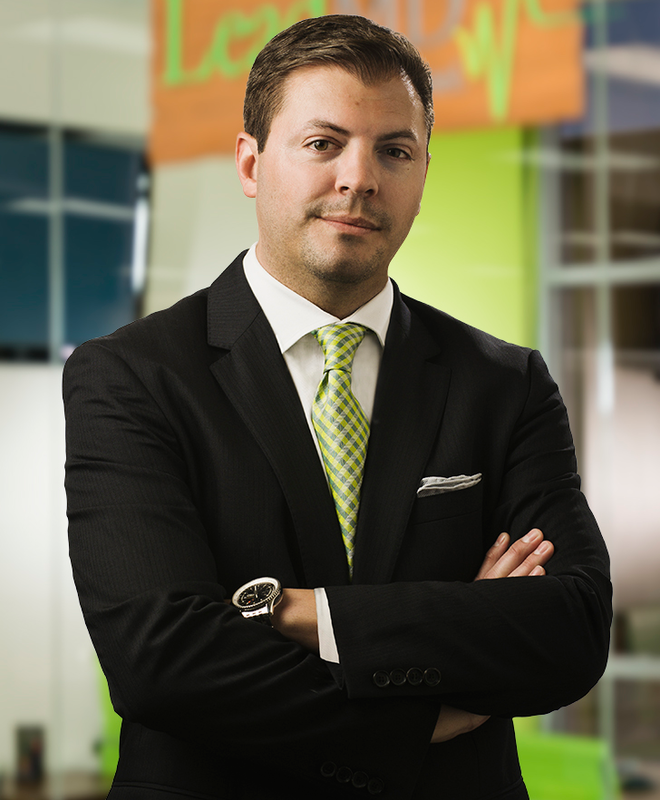 We spoke with Justin Gray, CEO of LeadMD, a marketing automation and CRM consultancy, about account-based everything and how it expands the planning process, as well as where he sees gaps in the skill sets needed for ABM. ABM IN ACTION: You and others have said the term “account-based everything” (ABE) makes more sense than “account-based marketing.” Why? JUSTIN GRAY: ABE symbolizes the combination of effort and messaging across your entire organization. Rather than having this “sales and marketing handoff” that we’ve been dealing with for the past two decades under a demand generation model, ABE forces us to say the entire organization is going to stay engaged at relevant touch points. Although it may begin as a strategic marketing effort, sales is going to operate side by side with marketing, and the executive team is going to be pulled into that. There are no distinct handoffs in ABE; it truly is an entire organization working together. ABMIA: What is the biggest challenge your clients face with sales/marketing alignment? JG: Marketers are being asked to perform more like salespeople, and salespeople are being asked to perform like marketers. Traditionally, you didn’t have your customer success team sharing content from the organization with the customer. In ABE, you do. This cross-functional blend is a challenge. We’re still seeing a huge skills gap in marketing and we’re seeing a shift in social selling on the sales side. Everyone is learning new skill sets, and now were tacking even more onto their plates. Skill sets — and defining what modern day professional marketing and sales even is — are a huge gap that we all have got to work to close. 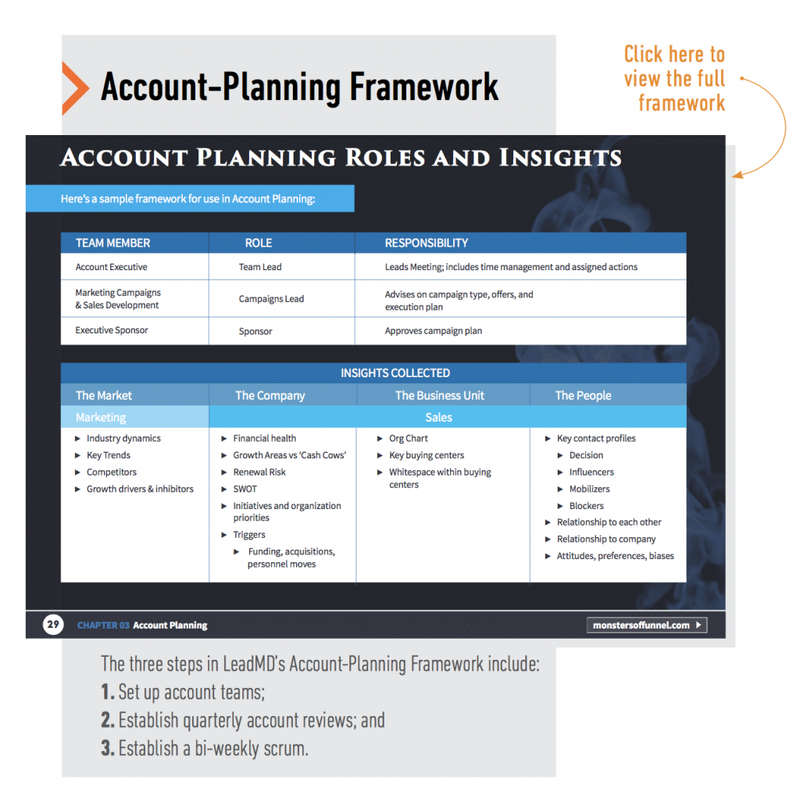 ABMIA: Why does account planning play such a crucial role in ABM? JG: Account planning represents what has been going on in sales — to a smaller degree — since the beginning of time: look at the target account, determine who the buyer is and determine how you’re going to sell [to them]. ABE expands that entire process, brings other departments into that account-planning exercise and puts some good metrics and depth into it. Rather than saying, “This is my buyer, the director of marketing who typically buys my solution,” ABE is going to force you to go deeper. Who’s the entire buying committee? What kind of issues are they struggling with? What’s the true temperature of what’s happening in that account? You want to collect as much data as possible, and then customize and tailor your corresponding message to meet those needs. Rather than just doing this one-to-many, batch-and-blast push of “Here’s our latest E-book,” it’s about aligning content to the needs of buyers within that organization. ABMIA: How long do typical ABM rollouts take? JG: ABM is the opportunity for us to get right what we got wrong with marketing automation, and I think that’s our fundamental message. Marketing automation enforced this speed-to-market mindset. We saw a lot of technology without a lot of people and processes behind them. With ABM, we’re all focused on ensuring that triangle stays in place — that all of our people, technology and processes are aligned with this methodology. Rather than trying to have this 60- or 90-day message, we enter the market by saying this is going to be at least a 12- to 18-month change. Then it’s going to be an ongoing process that never stops — we’re just going to get better and more intelligent about our go-to-market around ABM.